The dryer in a home gets a lot of use throughout the year. In many cases, it is possible that it may be used each and every day – depending on the size of the family. 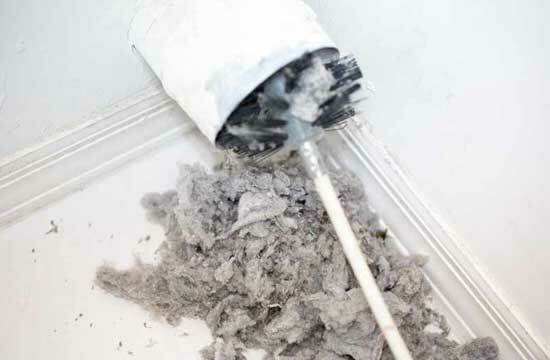 Although cleaning out the lint trap is something that needs to be done each time the dryer is used, the dryer vent also needs to be cleaned as well. United Air Duct cleaning New Yorkcan ensure that your dryer vent is clean and free of the lint that does not get caught by the lint trap. The lint that is not trapped builds up inside of the dryer, which is a major cause of dryer fires in the home. Not only is it dangerous when there is a lint built up inside the dryer or inside the duct, the dryer is not able to do its job properly and your clothes will take longer to dry. It is also important that the duct vent has adequate room for air flow in order for the dryer to run properly as well. Air duct cleaning NYC can clean out the dryer vent in your home and also make sure that the duct has the right amount of room in order to give correct air flow. We use only high powered air tools in order to clean out your dryer vents. Not only will you get peace of mind from a fire hazard, you will also find that with a dryer that runs more efficiently, you will create a cost effective dryer and save money. Your dryer will need to run a shorter amount of time to dry your clothes and this means it will cost less for you to run it. Give us a call for a free estimate to get your dryer running like new once again.